In chemical based business, we often need chemicals packaged as per our own specification. If you have the same personalized chemical need than contact Universal Oil Chemicals at once. Production Chemicals, Completion Fluids, Viscosifers, Dispersants and Defflocculants and many more. With wide variety of industrial chemicals and minerals, we are able to supply any quantity anywhere in the world without compromising in quality at best cost and timely delivery. 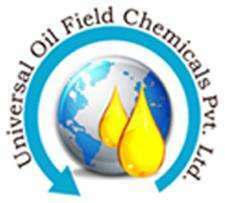 For more information, visit our site at www.universaloilchemicals.com or you can contact us.